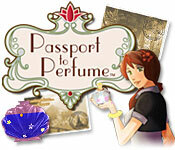 Use your Passport to Perfume and travel around the world as Sophia, a young adventure-seeker, perfume maker and shop owner in the 1940s. Manage a perfume shop, create scents, select from an elegant perfume bottle inventory, and sell your creations to customers. On weekends, travel the world searching for rare ingredients, perfume bottles and new fragrance recipes in this exciting Time Management game.